This is a story about the media blackout of important information about Israel: that their leaders are seriously misguided. 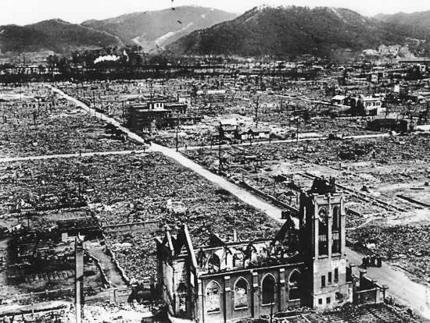 Two weeks ago, Electronic Intifada reported public comments by Israeli Defense Minister Moshe Ya’alon in which he cited Hiroshima and Nagasaki as role models in responding to Iran. Ya’alon suggested that Israel might have to nuke Iran in order to prevent a long war: “at the end, we might take certain steps.” Last week Ali Gharib picked up the EI report at Lobelog and linked to the video of Ya’alon, speaking in English on May 5 to the Israel Law Center (and posted by that rightwing group, which supplied a transcript). Now those who claim that this battle is not fair because democracy can’t fight back tyrannical regime — not talking about terror organizations– I don’t agree with it. In certain cases, we might take certain steps that we believe that these steps should be taken in order to defend ourselves. I mentioned the discussion about the interception of the rockets’ positions on civilian houses. We decided to do it. I can imagine some other steps that should be taken. Of course, we should be sure that we can look at the mirror after the decision, or the operation. Of course, we should be sure that it is a military necessity. We should consider cost and benefit, of course. But, at the end, we might take certain steps. I do remember the story of President Truman was asked, How do you feel after deciding to launch the nuclear bombs, Nagasaki and Hiroshima, causing at the end the fatalities of 200,000, casualties? And he said, When I heard from my officers the alternative is a long war with Japan, with potential fatalities of a couple of millions, I thought it is a moral decision. We are not there yet. But that what I’m talking about. Certain steps in cases in which we feel like we don’t have the answer by surgical operations, or something like that. So not only is he implicitly threatening nuclear war, he’s admitting that Israel has nukes? But there has been no coverage of this story in the mainstream media. It’s a blackout, conscious or not. So the mainstream media are once again covering up crazy/scary/rightwing Israeli attitudes. Jodi Rudoren of the New York Times, for instance, is of the opinion that only a “small strain” in Israeli society is for holding on to the West Bank. 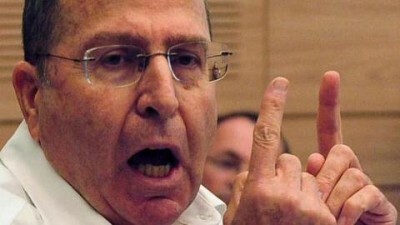 It’s no wonder that the Times hasn’t covered Ya’alon’s frightening statement. Yet these are the officials that the Obama administration is dealing with. These are the paranoid war-planners whom the White House has struggled to contain for years. And the American people are clueless. They are connected with us like Siam twins, so the whole idea of full separation isn’t viable.